Race numbers will be assigned by the Monday prior to the race. Race numbers will be issued on race-morning, not packet pickup. You must wear your race number and it must be clearly visible at all times. If you are registered by August 15th you will have your first and last name custom printed on your race number, if you register after this date, you will not. 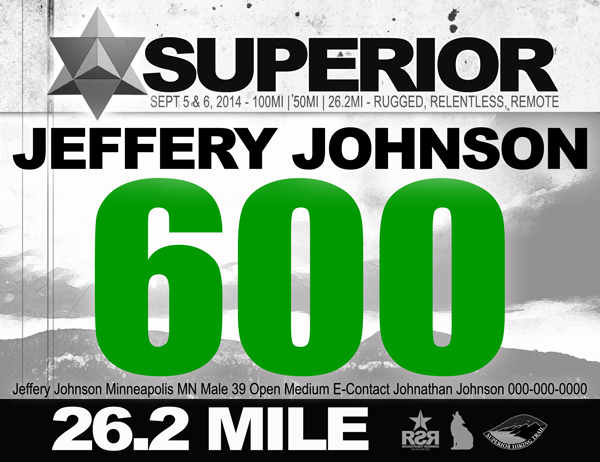 More info about race numbers can be found HERE. 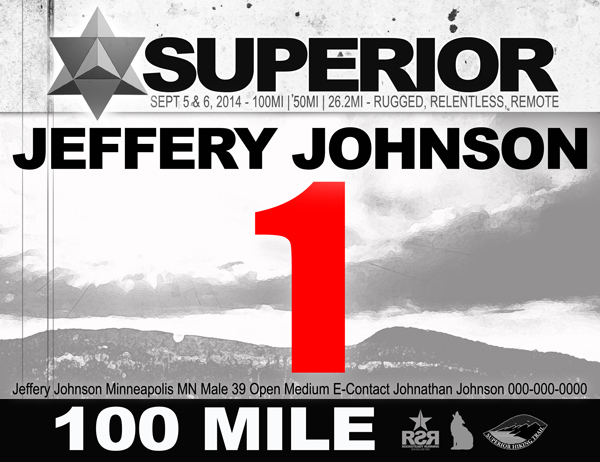 The Superior “Fall” Trail Races host three races simultaneously, the Superior 100 Mile, the Superior 50 and the Superior / Moose Mountain Marathon. Each distance will have its own unique race number (unique color and number series) so runners can be easily identified by race officials, volunteers, spectators and other runners. We ask that all competitors wear their number on the front of their body on their outer-most layer at all times. Runners will be tracked coming into and out of each aid station. If we cannot see your number, we cannot track you or take your finishing time and if we cannot do that, you will be disqualified and will not earn an official finish. Racers registered by August 15th will receive their name custom printed on the race number as illustrated below – if you register after this date, your name will not be on your number. 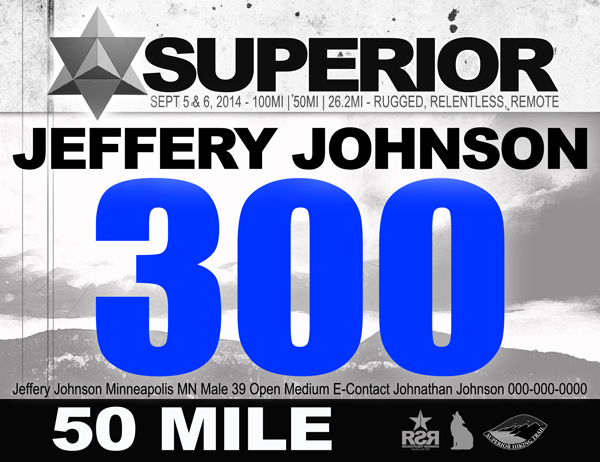 Your emergency contact information will be printed (in small print) on the front of your race number. If you have any medical conditions, allergies etc. you may write this information on the back of your race number so emergency personell will have access to information pertinent to your care should something happen.